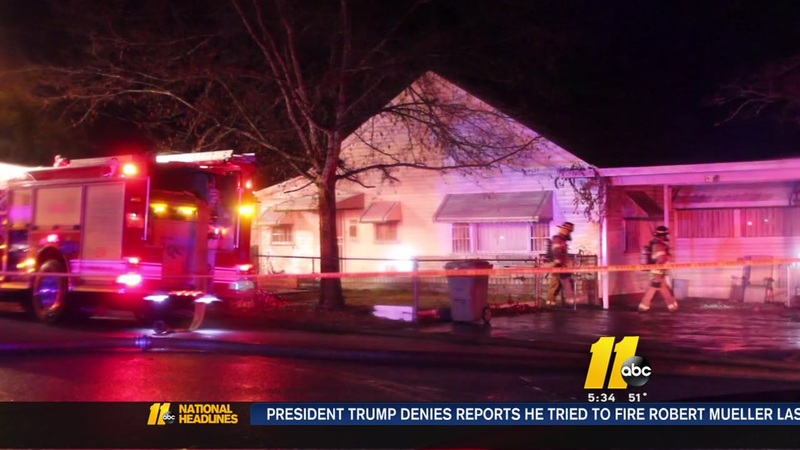 FAYETTEVILLE (WTVD) -- Authorities are investigating the cause a Fayetteville house fire that claimed the life of one person. Fire officials said the flames broke out just after 8:45 Sunday night in a home near Pecan Drive. When firefighters arrived, bystanders told crews someone may still be inside of the residence. Officials entered the home and located a person inside. They were removed, treated by firefighters, and transported to Cape Fear Valley Hospital in critical condition. Upon arrival, the person had succumbed to their injuries and was pronounced dead. Their identity has not yet been released. A full fire investigation is being conducted by Fayetteville Fire and Emergency Management; authorities believe the fire was accidental.